We - Amy and Paul - are documentary photographers, videographers, and activists, who founded Moving Animals in 2018, thanks to the generous support of the Culture & Animals Foundation. Since then, we’ve been witnessing, documenting, and archiving practices within animal industries around the world. Prior to starting Moving Animals, we worked at PETA UK (People for the Ethical Treatment of Animals), where we saw first-hand the impact that photos and footage has on raising awareness of animal rights. 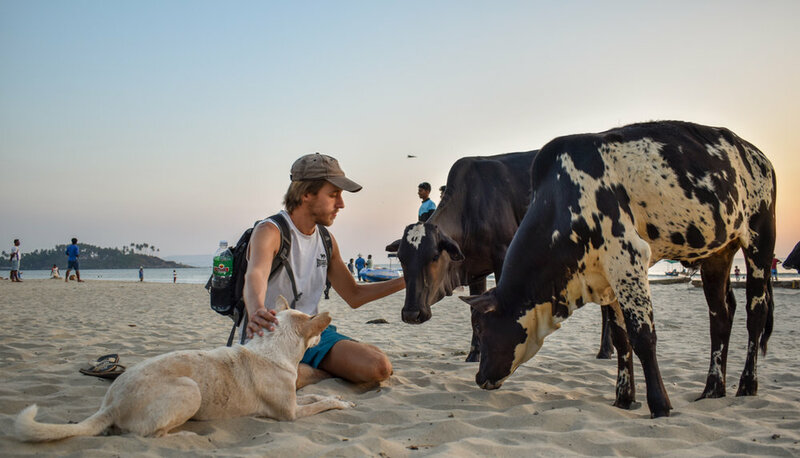 We spent much of 2018 in Sri Lanka, India, and the UK, documenting animals used for food and entertainment, with our work being featured by The Independent, UNILAD, PETA, Responsible Travel, Mail Online, and many more. Our work intends to highlight that the worldwide exploitation of animals is a murky circle of abuse, chained together by supply and demand, money, and unexposed practices. We provide free-to-use images and footage to activists and organisations, and also create our own content. By raising awareness of animal suffering, we aim to encourage people to move away from such practices. We also work directly with organisations, travel companies, and media outlets, on specific campaigns or stories, to help source the content needed and provide exclusive footage to help launch effective campaigns. If you’re interested in working with Moving Animals, please do contact us.